The Odyssey Broomstick 2-Ball putter stands out from the rest and could be the solution to your putting struggles! While the act of anchoring is now banned, long putters are still conforming and as long as the your top hand is separated from your body, the Broomstick method is a completely legal stroke. 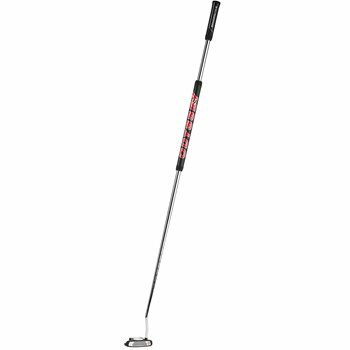 The Odyssey Broomstick 2-Ball putter features a White Hot insert for improved sound and feel as well as microhinge roll technology to promote immediate forward roll to improve speed and control.